(Washington, DC) – On May 27, the nation’s capital will be one step closer to opening its first new subway line in over 20 years. Let the poor customer service, shoddy maintenance, and gouging of riders begin. 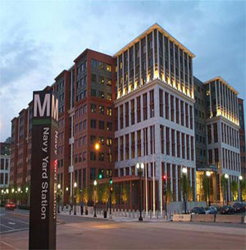 The Washington Metropolitan Area Transit Authority (WMATA) – commonly known as Metro – will take responsibility for the still-under-construction Silver Line. It is the first full line to be added to the 38-year-old Metro system in more than two decades. It was originally supposed to open to customers last summer; that date was pushed back to last December. The Silver Line is being built in phases. Phase I will provide service from East Falls Church to Wiehle-Reston East. Phase II will extend the line to Dulles Airport. Phase I’s estimated cost is $2.9 billion. In spite of the Federal government’s $900 million contribution, coupled with the quadrupling tolls on the Dulles Toll Road and increasing Metro fares by 25% over the past few years, Phase I is already $150 million over budget. Metro has not ruled out additional rate increases to pay for the shortfall – or the next phase of construction. 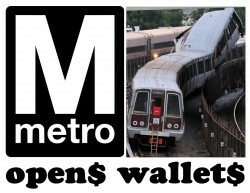 “In order to keep giving raises to Metro’s Board of Directors, while at the same time paying for the Silver Line’s construction and maintenance, it’s entirely possible our customers will see increased rates,” said a Metro spokesman, speaking on condition of anonymity. General Manager Richard Sarles recently received a two-year contract extension. The $16,000 pay increase means Sarles now earns $366,000 annually. “The price gouging is the only thing Metro is consistently good for nowadays,” said a Metro customer, speaking on condition of anonymity. And during the time of rate increases, service has gotten noticeably worse. Trains are late and over-packed. Repairs occur every weekend – especially holiday weekends – which force the single-tracking of trains, adding to delays. Metro opened in 1976; the last time it had every escalator and elevator functioning throughout the system was 1991. Once Metro takes control of the project, the new stations will have to match the conditions found at all other stations. After the transfer of responsibility, the Silver Line will undergo up to 90 days of testing and safety reviews. The Department of Transportation (DOT) will have to sign off on the system’s successful testing before any passenger ever sets foot on the new rails. May 25, 2014 in DOT, Mass Transit, Silver Line (WMATA), VA, WMATA.